SIGNED BULGARI, GENEVE, 262/900, RECENT. 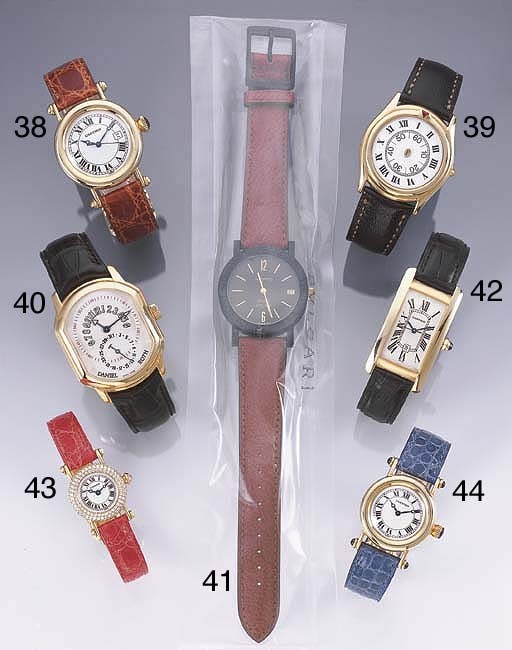 Automatic movement, black dial with Arabic and baton markers, gold hands, date aperture, the bezel with Bulgari inscription, circular case with glazed back and secured by six screws, maker's leather strap. This lot is sold with fitted case.